In a campus-wide email last week, President Rose announced that the College has reached carbon neutrality two years ahead of schedule. Bowdoin Climate Action is pleased to hear of the steps the College has taken to reduce emissions and reach this goal, and we are excited to engage in conversation around the College’s plan for 2030. However, we have some concerns about how the Bowdoin community approaches climate change in conversations across campus. We raise these in the hopes that members of our community will be able to engage more meaningfully with the complex realities of climate change moving forward. We do not say this to minimize the important efforts of those who have led this charge over the past several years. 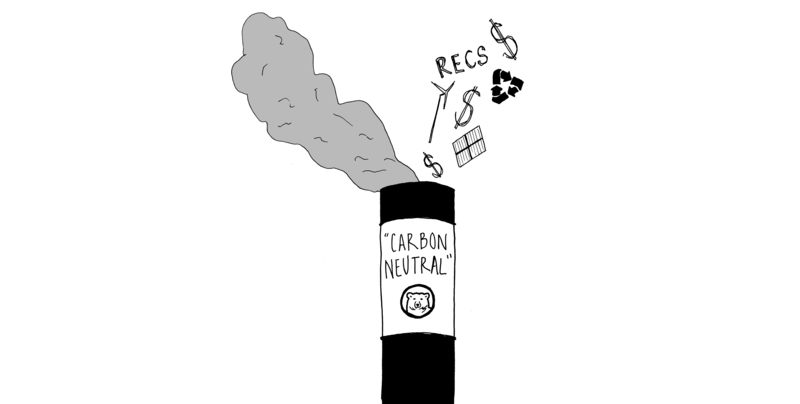 Rather, we think that is necessary to clarify misconceptions around what it means to be “carbon neutral.” To many, this phrase may imply that Bowdoin has reduced its carbon emissions by 100 percent. It is important to acknowledge, however, that Bowdoin has only reduced its emissions by 29 percent, though this reduction is certainly commendable and a significant step in the right direction. The remaining percentage is accounted for through the purchase of carbon offsets and renewable energy credits (RECs) which help fund renewable energy infrastructure and development. 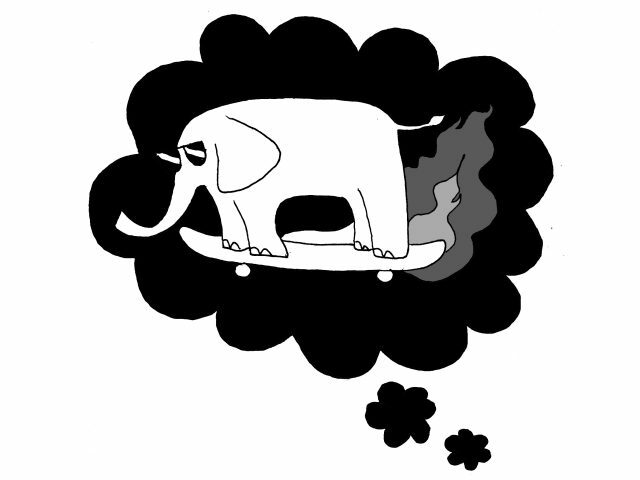 Bowdoin then subtracts the resulting reductions from its own emissions. As a wealthy institution, this is a worthwhile use of our financial resources. However, while the purchase of offsets and RECs can help to promote renewable energy, the logic of offsets perpetuates the status quo. By purchasing offsets and RECs, institutions such as Bowdoin can continue emitting at the same rate while claiming “neutrality.” Airline companies, for example, allow passengers to purchase offsets to assuage the guilt that comes from high emission travel. In short, the offset market enables polluters and the fossil fuel industry to continue with business as usual—the degradation of our planet and its resources as they place profit over people. Our emissions reduction is essential, but it is only a drop in the bucket in the fight for large-scale climate change mitigation. What is of even greater concern is how we often gloss over the issues of climate change and climate justice. In all of the recent announcements of our recent achievement, the term climate change is rarely used and climate justice is never even mentioned. Bowdoin must begin to address the effects of climate change, as well as its anthropogenic causes, in conversations around emission reduction and carbon neutrality. Climate change is not only a threat to future generations, but real and happening now. It is disingenuous to discuss emission reduction and solar arrays without mentioning communities affected by climate change. It is a disservice to members of our community whose families breathe air polluted by Shell and Exxon refineries, whose water sources are threatened by fracking and whose hometowns went without electricity for weeks following Hurricane Maria. As we continue to discuss our goals for a more sustainable future, we must also talk about climate justice. Through conversations about metric tons of emissions and megawatt hours, we depoliticize and greenwash the climate crisis. As we move towards a new 2030 goal, we must stop shying away from conflict and controversy and embrace an intellectually fearless discourse around the realities of climate change. Just as Bowdoin has taken bold leadership in emission reduction, we urge the College to speak up on climate justice, too. Critical, intersectional analyses are a hallmark of the Bowdoin education, and we must extend similar approaches to our discussions on climate change. It is our responsibility to engage with the complex intersections of race, capitalism, gender and the environment. We cannot afford to be politically neutral. Even if the whole world miraculously stopped emitting carbon dioxide tomorrow, we would still face the effects of climate change for years to come. 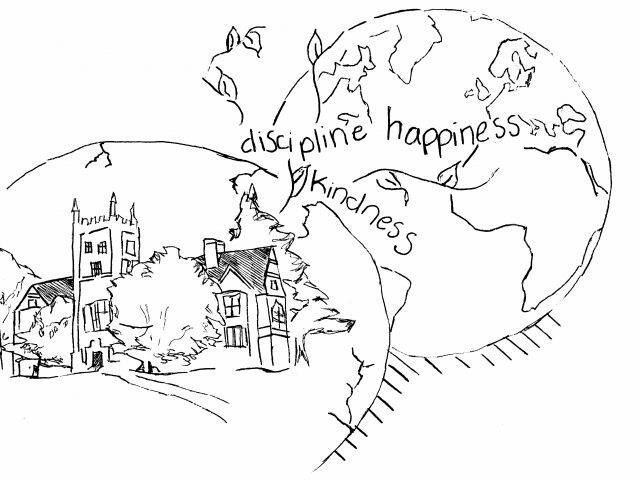 As we continue to reduce our emissions at Bowdoin and around the world, we must also address the realities of climate change and incorporate an understanding of climate justice into our plans for 2030. We congratulate our fellow students and the staff at the Office of Sustainability who have helped us reach this milestone, and we look forward to engaging in conversation around what it means to be carbon neutral and how we can become even bolder climate leaders as we look ahead to 2030. This piece represents the views of several members of Bowdoin Climate Action: Sarah Corkum ’21, Bri Canning ’21, Jillian Galloway ’21, Jesse Dunn ’20, Matt Keller ’20, Calvin Soule ’20, Tessa Epstein ’19, Arnav Patel ’18 and Jonah Watt ’18. Thank you Sarah, Bri, Jillian, Jesse, Matt, Calvin, Tessa, Arnav, and Jonah for your much needed and bold position here and your braveness to share it so eloquently. Please do keep us posted of your continued work for climate justice. Bravo to you! What is your solution for mitigating climate change? Have you looked into carbon pricing – specifically carbon tax/fee and dividend as a national solution to greenhouse gas emissions. Put a steadily increasing tax/fee on fossil fuels at their source and return the revenue to households as a per capita dividend to shield lower income families from the pain of price increases. A rising price on carbon will incentivize renewable energy investment and products.